The couple basked in warmth from the quietly crackling fireplace. The calm shattered minutes later. Huge flames suddenly stretched toward the flue, smoke poured forth, wood popped explosively and a whooshing sound filled the room. Hurrying outside, the horrified pair saw flames shooting from the chimney. Neighbours, pulled outside by the loud roar, gaped. The couple’s cozy fireside perch had turned into crowded front row seats at a dramatic chimney fire. Happily, this particular fire burned itself out without igniting the home itself. But experts estimate that tens of thousands of chimney fires occur yearly in Canada, burning at up to 1000 degrees Celsius and costing millions in property damage. Many generate far less excitement and give few warning signs, smoldering silently and leaving homeowners unaware of the danger. Nonetheless, smaller conflagrations damage chimneys, prompt expensive repairs, and make future chimney fires more likely. 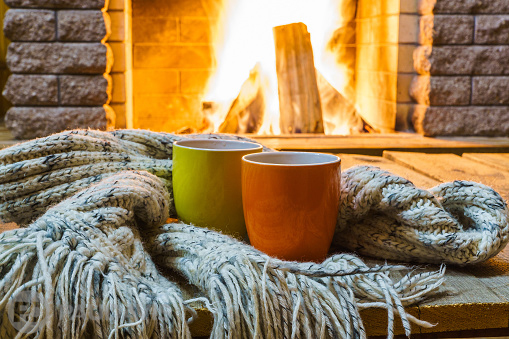 Regular maintenance helps homeowners safely enjoy a fireplace’s wonderful ambiance while minimizing its risks. Most fireplace professionals agree that the most important maintenance step is calling a skilled chimney sweep to inspect and sweep out the chimney annually. The sweep inspects the structure for cracks, loose mortar or other defects that could spread heat to flammable building materials like wood joists. He clears blockages – squirrels and swifts build nests in snug chimney interiors during warm seasons. This service also scours off soot and layers of tar-like creosote that coat the chimney’s interior and feed errant flames. Though this brown byproduct can’t be completely avoided, choosing only dry, seasoned hardwoods for fuel minimizes build-up. Keep the fireplace interior free of everything but a light layer of ash; this small amount of ash acts as insulation, helping future fires light more quickly and easily. Remove all other ashes to a metal container three days after each fire – any sooner and buried live coals could create a hazard. Protect the area and occupants while sweeping ashes by opening a window and wearing a dust mask. Cleaning up at the end of the season? It’s best to completely clean up all ashes. Finally, trim tree limbs that encroach on the top of the chimney and invest in a chimney cap that prevents debris and animals from entering the tight space. Blocking the chimney exit, even partially, presents a fire hazard and restricts airflow across the chimney top. When fires lack oxygen they burn more slowly, and incomplete combustion may form poisonous carbon monoxide. Surprisingly, ensuring a clear chimney may also help furnaces run more smoothly. Many chimneys have more than one flue – one for each fireplace and another for furnace exhaust.